"We are deeply concerned about the welfare of our students," Father Michael Engh, president of the Catholic university said. Two students at Santa Clara University in California have been diagnosed with meningococcal disease, which can sometimes result in a deadly infection of the brain and spinal cord, school officials said Wednesday. One of the two students tested positive for meningococcal meningitis, a bacteria that causes a serious and sometimes fatal infection of the brain and spinal cord membranes. The second student was found to have a bloodstream infection known as meningococcemia, or septicemia, according to the Santa Clara County Public Health Department. "We are deeply concerned about the welfare of our students," said Father Michael Engh, president of the Catholic university, during a news conference. "Our hearts and prayers go out to our students." The university learned of the infections when one undergraduate student became violently ill Sunday and was admitted to a hospital, according to the school. Santa Clara County Health Officer Dr. Sara Cody said the second student was also feeling ill on Sunday but went to the hospital on Monday, and she urged the campus community to get preventative vaccines. "Both are doing well," Cody said. Despite the scare, the campus is not closed and a celebration to be held before Sunday's Super Bowl is not canceled. Cody said health officials will be monitoring the situation to see if there are any more cases. "There have been clusters on college campuses in the last several years," Cody said. Meningococcal meningitis, a bacteria most common in Africa, is carried in the throat and back of the nose and transmitted by saliva and mucus during "prolonged close contact," often by kissing, sneezing, coughing and sharing eating utensils, according to the World Health Organization. 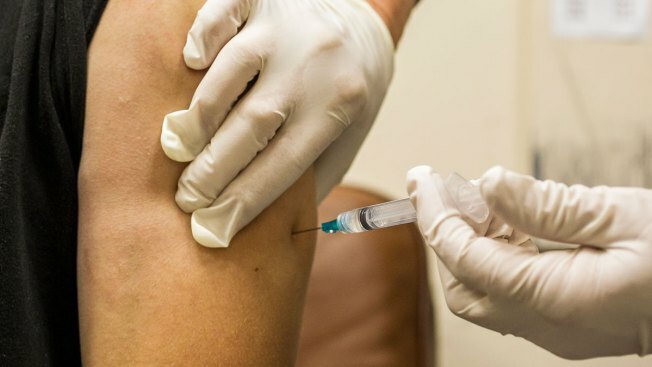 Health officials warn that most college students are not protected against the strain of the illness one student contracted — serogroup B — as the federal government only approved vaccines for that serotype in late 2014 and early 2015. Test results for the second student are pending, Cody said. Even when meningococcal meningitis is diagnosed and treated early, 5 to 10 percent of patients die, typically within one to two days after the onset of symptoms, according to the WHO. Left untreated, about half of patients die. Symptoms include fever, headache and a stiff neck. Patients may also experience nausea, vomiting, confusion and sensitivity to light, according to the Centers for Disease Control and Prevention. Symptoms typically develop within three to seven days of infection. The health department and university is recommending that all students on campus receive either a Bexsero or Trumenba vaccination. The university is offering free vaccine clinics on Thursday from 2 p.m. to 8 p.m. and Friday from 10 a.m. to 6 p.m. on the Concourse Level of Leavey Center. The health department will be issuing daily updates here.